The Kershaw Nerve 3420 is designed by RJ Martin with heavy jobs in mind. The handle of the knife is fully lined with 410 steel with an overlay of CNC-machined G10 scales. The aggressive pattern in these scales, along with jimping on the thumb rest and finger guards provide the user with firm gripping capabilities. 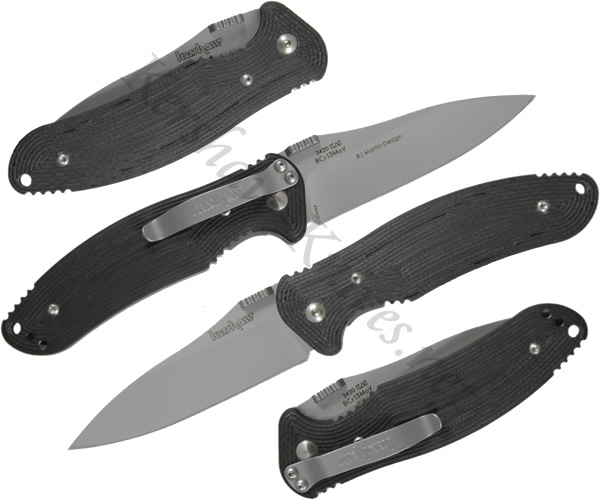 The drop point blade is constructed of 8Cr13MoV steel and is opened with dual thumbstuds. The Kershaw Nerve 3420 is ideal for those that like a strong, hefty knife for everyday use.